digital life January 17, 2016 9:00 p.m.
John and Sherry Petersik built a cult following with their website. Then they attempted to walk away. John and Sherry Petersik built a cult following with their website, Young House Love. Then they tried to walk away. The rebellion began a little after 10 a.m. on a Thursday in September 2014. 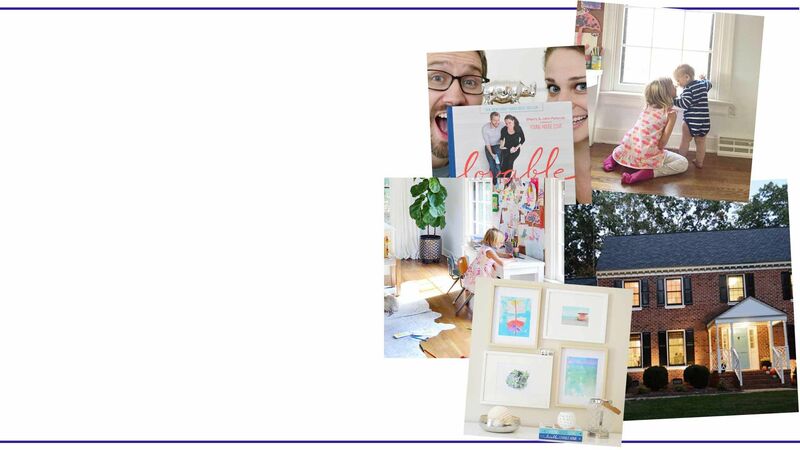 At precisely 10 a.m. on almost every weekday for the past seven years, Sherry and John Petersik had uploaded a chatty, photo-laden post to their do-it-yourself home-décor blog, Young House Love. 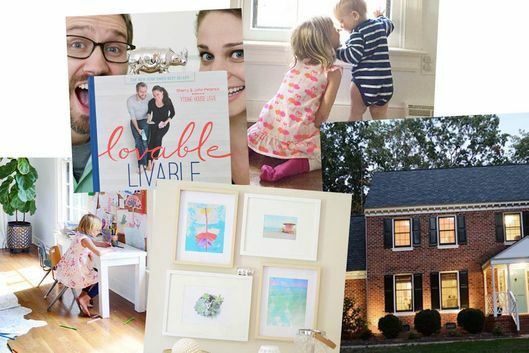 During those nearly 3,000 posts, they catalogued kitchen renovations, decorating projects, moves to three different houses, and the births of both their children. Readers of YHL, as it’s known to their millions of fans, knew an absurd amount about the Petersiks’ lives, including the brand of shampoo the couple shares (Burt’s Bees) and the fact that Sherry owns only one bra. For years, the Petersiks had appeared to delight in the oversharing, letting no vacation, birthday, or parenting milestone go un-blogged. But they had recently started to chafe under the microscope. In Instagram photos, the Petersiks’ friendly grins seemed to be hardening into tragicomic Greek masks. They approached every blog post or Facebook status in a defensive crouch: What would get the most likes and shares? What would trigger a backlash? There was no escaping the onslaught of feedback, positive or negative. The ceaselessly churning, real-time response machine of the internet never sleeps — and, especially since the birth of their second baby earlier that year, neither did John and Sherry. By the time John came down to lunch, comments were pouring in; most were unkind: “Honestly, 5 posts a week isn’t that much for readers to expect …” wrote one. “You make big bucks from this blog (I have no problem at all with that) and IT’S YOUR JOB.” Others defended the Petersiks’ time and talents. The post ultimately got just under 2,000 comments. That weekend, after the kids were in bed and the laundry room was finally done, they started talking about putting a match to this thing they loved so much. Sherry was ready to quit right then, but John wasn’t convinced. The YHL brand was their primary income. “I wanted us both to calm down. And I wanted to know what our next move would be.” They both made lists of old freelance clients from their days in advertising who might take them back. It felt terrifyingly uncertain, but also, liberating. In a perfect metaphor for the moment, John’s laptop promptly died. Even as my love for them became increasingly less ironic, I remained suspicious that their success could really all be so disarmingly uncalculated. “But how could we have had a plan when nobody had ever made money off a blog before?” says Sherry when I push on the business-plan question. It’s true that when the Petersiks got into this game in 2007, there was no Instagram, no Vine, no Periscope. Twitter and the iPhone were in their infancy, and having an aggressive social-media presence was not yet seen as a viable career path. It’s hard to overstate how quickly this world has evolved and how completely we’ve come to accept its central tenets. Anyone with a social-media presence now understands the lure of more posts, more followers, more shares. Which means that both the Petersiks’ rise and their decision to walk away offer a preview of a world in which maintaining the appearance of our lives online can make it impossible to actually live that life. And yet, even knowing what they know, the Petersiks can’t quite leave it all behind. The Petersiks met in 2004 while working at the same New York City ad agency. Sherry was a recent FIT grad from New Jersey. John was a clean-cut Southerner with a surprisingly dry wit. They began dating in 2005. Early on, they flirted with various paths to public life, auditioning together for The Amazing Race — “I still think John would have killed it,” Sherry says — and trying to sell a book about weird pet names. But despite entertaining visions of reality-show stardom “for a hot second” — they also decided to leave New York for Richmond, attracted to its slower pace of life and affordable real estate. “Looking back, that’s kind of the first time we made a big, dramatic decision in the name of a more balanced life,” John notes. The blog started as a way to share progress reports on their first kitchen renovation with family and friends. Four months later, they entered a home-improvement blogging contest and won the $5,000 grand prize. The Petersiks joined Google AdSense soon after their contest win, making $10.59 in the first month. By the end of that year, the blog was up to 100,000 page views per month and had become the bulk of Sherry’s work life, a transition she describes as “a big leap of faith,” since it would be another year before she began to duplicate her old salary. The early posts on YHL have a distinct MySpace vibe, with small, badly lit photos. In one, Sherry wrote about buying John a new suit and a poster for his birthday, without including a single photo of either gift. Their earnest blend of self-deprecating humor and raw enthusiasm turned out to be insanely attractive to readers. By 2009, YHL had reached one million page views per month. When their daughter, Clara, was born in 2010, monthly traffic was up to 2.5 million. John quit his advertising job. The couple looks back on that time as the blog’s golden year, when they were essentially getting paid to live their life and talk to a group of friends about it every day. By the next year, Sherry’s narrative of Clara’s traumatic birth had elicited 2,385 comments. But even John’s far more prosaic account of choosing between three bath mats sparked a 338-comments-strong discussion. The Petersiks soon joined the first wave of bloggers who leveraged their personal lives for real-world success. They landed a two-book deal, a Benjamin Moore paint-color collection, and a line of whimsical hooks shaped like octopuses and Chihuahuas for Target. During a 20-city tour for their first book in 2012, the Petersiks spoke to crowds of 600 to 800 per night. Fans showed up at book signings wearing homemade T-shirts, dressed as “Blazer Sherry” (an inside joke about the black blazer that Sherry always wears for public appearances), or bearing cupcakes decorated with Petersik family faces. Pieces of fanmade art are still displayed throughout their house. Meanwhile, their audience’s demands to be let in on their lives only grew. Back in 2010, it took them four days to mention the birth of their daughter on their blog, but when Teddy was born in 2014, John says, “It was like, okay, we have a few hours to get something for Instagram.” Sherry pauses when he says that, but she doesn’t disagree. “Where we ended up was kind of a reality show in itself,” she says. And like all successful reality stars, the Petersiks had built an audience that simultaneously knew everything about them and didn’t really know them at all. They also worried about the effect living online was having on their kids. “I’m already afraid of what Clara will find when she Googles herself,” Sherry admits. “I wonder all the time if we should have changed her name or never shown her face at all.” What Clara will find is not that different from what many new parents share on their social-media accounts — except in the Petersiks’ case, it inspired threads on hate sites like Get Off My Internets. Once, when Clara was out for ice cream with her grandparents, a fan recognized her and approached the family. “It was perfectly friendly and innocent, but it weirded us out to realize Clara could get recognized without us there,” says John. After that, they made sure Clara always wore shorts under dresses, in case somebody snapped a picture of her upside down on a jungle gym. “The internet can be a dark place,” says Sherry. In September, the Petersiks released the second installment of their two-book deal: Lovable Livable Home. When we talk before its release, they seem legitimately shocked that their publisher hasn’t dropped them after they stopped blogging. In the lead-up to the launch, I began to see an uptick in their social-media shares: six Facebook posts in August, a dozen more in September. That same month, they updated the blog with a single post highlighting some of their adventures over the past year. The post ends with a video spoof of John and Sherry pretending to be Real Housewives. I can’t help but overthink that choice — is it a deliberately ironic statement to cast themselves as reality-TV stars? Or meant more as a callback to their blog-nerd roots? In the months since, there have been three more updates, all about the kind of mundane home projects (think landscape lighting) that made fans fall in love with the Petersiks in the first place. The new posts are friendly, but there is a distance. Projects are only posted as a final, finished “reveal”; we’re no longer watching every coat of paint dry. And the site’s comments have been disabled. Readers can still comment on the Young House Love Facebook and Instagram feeds, but the conversation is far more muted.